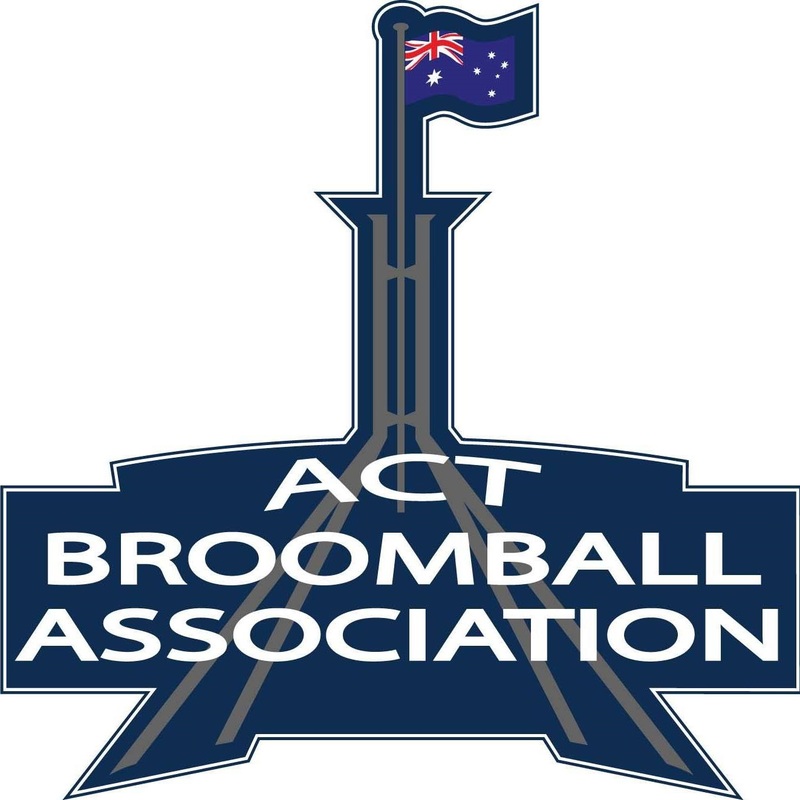 ACT BROOMBALL ASSOCIATION (ACTBA) INC.
1.1 The name of the Association shall be the “Australian Capital Territory Broomball Association (ACTBA) Inc”. (a) “Association” means the Australian Capital Territory Broomball Association (ACTBA) Inc.
(ii) is passed by at least three-quarters of the vote of those members of the Association who, being entitled to vote, vote in person or, vote by proxy at the meeting. (q) “These Rules” means the Rules of the Association. (s) All words importing the masculine or feminine gender shall include the feminine and masculine gender respectively. 2.2 These Rules should be read in conjunction with the Act. (b) A reference to the exercise of a function includes, where the function is a power, authority or duty, a reference to the exercise of the power or authority or the performance of the duty. 2.5 The provisions of the “Interpretation Act 1967” apply to and in respect of these Rules in the same manner as those provisions would so apply if these Rules were an instrument made under the Act. 3.1 The purpose of the Association is to administer, control, develop and promote the sport of Broomball in the Australian Capital Territory. (f) to promote the sport of Broomball amongst the general public and other sporting groups to gain its wider acceptance, recognition and support. 5.1 The Association shall be a non-profit organisation whose income and property shall be applied solely towards the promotion of its objectives. 5.2 No portion of the Association’s income and property shall be paid or transferred directly or indirectly, by way of dividend, bonus or otherwise howsoever by way of any profit to its members or relatives of members of the Association. 5.3 Nothing herein shall prevent the reimbursement of legitimate expenditure properly incurred by a member of the Association on behalf of the Association and the payment in good faith of remuneration, including honoraria, to any officer or employee of the Association or to any member of the Association in return for any services actually rendered to the Association or reasonable and proper rental for premises let by any member to the Association. 5.4 The Association shall be a non-political, non-denominational and non-discriminatory organisation. (p) to do all such lawful things, not inconsistent with the provisions of these Rules, as are incidental or conducive to the attainment of the objectives or purposes of the Association. (b) Honorary Life Members: being persons who may be elected at an Annual General Meeting, in recognition of outstanding services rendered to the Association. Such persons shall enjoy all the privileges of full membership. (c) Temporary Members: being persons who may wish to participate in tournaments and non-seasonal competitions organised by the Association and who pay the required Entry Fee. Such persons shall have no voting rights or be eligible to stand for the Committee. 7.2 The Committee may, from time to time, determine additional grades of membership as it may see fit, to suit the affairs of the Association. 8.1 Any person interested in the purposes and objectives of the Association may apply for membership of the Association. (c) shall be accompanied by the prescribed Membership Fee. 9.2 As soon as practicable after receiving an application for membership, the Secretary shall refer the application to the Committee which shall determine whether to approve or reject the application. Such decisions must be made within twenty-one (21) days of receipt of an application. 9.3 Where the Committee rejects an application for membership, the Secretary shall, within twenty-one (21) days of the decision, notify the nominee of that rejection including reasons for rejection. Such Membership Fees as may have been paid by the nominee shall be refunded in full. 9.4 The Secretary or other member of the Committee (as determined by the Committee) shall, on the approval of an application for membership of the Association by the Committee, enter the nominee’s name in the Register of Members and, upon the name being so entered, the nominee shall become a member of the Association. The successful applicant shall be advised in writing of his/her acceptance as a member of the Association within twenty-one (21) days of the decision. (d) fails to renew membership of the Association, as provided for in these Rules, by the date determined and advertised by the Committee. 12.1 A member is not entitled to resign from membership of the Association except in accordance with this Section of the Rules. 12.2 A member who has paid all amounts payable by the member to the Association may resign from membership of the Association by first giving notice (being not less than 1 month) in writing to the Secretary of the member’s intention to resign and, upon expiration of the period of notice, the member ceases to be a member. 12.3 Where a person ceases to be a member, the Secretary or other nominated member of the Committee (in accordance with Section 9.4 of these Rules) shall make an appropriate entry in the Register of Members recording the date on which the member ceased to be a member. 12.4 Refund of Membership Fees may only be offered at the discretion of the Committee, if written notice is received within twenty-one (21) days of resignation of membership. 13.1 The Annual Membership Fee shall be the only fee payable to determine membership eligibility to the Association. 13.2 The Annual Membership Fee of the Association shall be determined by the Committee before the commencement of each financial year. 13.3 The Annual Membership Fee shall fall due on the 1st of July each year. 14.1 The Association, on recommendation from the Committee, may elect persons associated with the Association to Honorary Life Membership of the Association at an Annual General Meeting in recognition of outstanding services rendered to the Association. Such persons shall enjoy all the privileges of full membership. 14.2 Recommendations proposing persons for life membership may also be submitted by members of the Association in writing, duly proposed and seconded, to the Secretary of the Association for the consideration of the Committee. 15.1 Subject to Sections 51, 108, 109 and 110 of the Act, the liability of an officer or a member of the Association to contribute towards the payment of debts and liabilities of the Association or the costs, charges and expenses of the winding up of the Association is limited to the amount, if any unpaid by the officer or member in respect of membership of the Association as required by Rule 13 of these Rules. 15.2 The Association, individual members of the Association or persons acting on behalf of the Association shall not be responsible for the safety or well-being of any member or person participating in activities organised by the Association. Every member or person participating in the activities of the Association shall do so at his or her own risk. (e) suspend the member from such rights and privileges of membership of the Association as the Committee may determine for a specified period. 16.2 A resolution under Section 16.1 of these Rules is of no effect unless the Committee, at a meeting held not earlier than fourteen (14) days and not later than twenty-eight (28) days after service on the member of a notice under Section 16.3, confirms the resolution in accordance with this Rule. (ii) submit to the Committee at or prior to the date of the meeting written representations relating to that resolution. (c) by resolution determine whether to confirm or to revoke the resolution of the Committee made under Section 16.1 of these Rules. 16.5 Where the Committee confirms the resolution under Section 16.4 of these Rules, the Secretary shall, within seven (7) days after that confirmation, by notice in writing inform the member of that confirmation and of the member’s right of appeal under Section 18 of these Rules. (b) where within that period the member exercises the right of appeal, unless and until the Association confirms the resolution in accordance with Section 18.4 of these Rules. 16.7 A person under suspension or who has been expelled from membership of the Association shall not be permitted to play in games of Broomball conducted under the jurisdiction of the Association nor shall the person be permitted to represent the Association in any capacity unless specific approval is granted by the Committee. 16.8 A member shall immediately forfeit any Membership Fees paid to the Association upon cancellation of his or her membership. 16.9 The Committee may reinstate any member who been suspended or who has been expelled from membership of the Association. Upon reinstatement, such members shall enjoy all the rights and privileges of full membership. 17.1 Where a person’s application for membership of the Association is rejected by the Committee, that person may, within fourteen (14) days of receiving written notification thereof, lodge with the Secretary of the Association his or her intention to appeal against the decision of the Committee. 17.2 Upon receipt of a notification of intention to appeal against rejection for membership by the Secretary, the Committee shall convene, within thirty (30) days of the date of receipt of such notice, a General Meeting to determine the appeal. 17.3 At a General Meeting to hear an appeal, the appellant shall be given the opportunity to fully present his/her case and subsequently the Committee or those members thereof who rejected the application for membership shall likewise have the opportunity of presenting their case. 17.4 An appeal against rejection for membership shall be determined by secret ballot of the members present at such meeting. Such a determination shall be binding. 18.1 A member may appeal to the Association against a resolution of the Committee which is confirmed under Section 16.4 of these Rules, within fourteen (14) days after notice of the resolution is served on the member, by lodging with the Secretary a notice to that effect. 18.2 Upon receipt of a notice under Section 18.1 of these Rules, the Secretary shall notify the Committee which shall convene a General Meeting of the Association to be held within twenty-one (21) days after the date on which the Secretary received the notice or as soon as possible after that date. (c) the members present shall vote by secret ballot on the question of whether the resolution made under Section 16.4 of these Rules, is confirmed or revoked. 18.4 If the meeting passes a resolution in favour of the confirmation of the resolution made under Section 16.4 of these Rules, that resolution is confirmed. (c) shall have the power to perform all such acts and do all such things as are legal and which appear to the Committee to be necessary or desirable for the proper management of the affairs of the Association. (e) shall have the power to determine duties of members of the Committee consistent with the nature of the office to which they have been appointed. Any duties additional to those contained in these Rules shall be as laid down in the By-laws of the Association. 19.2 Only a member of the Association’s Committee, so delegated by the Committee, may vote on behalf of the Association at National meetings or on National matters. 19.3 The Committee may draw up By-laws not inconsistent with these Rules and the Rulebook of the game of Broomball adopted by the ACTBA, for the day to day management of the affairs of the Association The Association in General Meeting may veto any By-law adopted by the Committee. each of whom shall be elected or co-opted pursuant to Sections 21 and 23 of these Rules or appointed in accordance with Section 22.2 of these Rules. 20.2 The members of the Association may elect an additional three (3) Ordinary Committee members at any General Meeting in furtherance of the purposes and objectives of the Association. 20.3 Each member of the Committee shall, subject to these Rules, hold office until all positions on the Committee are declared vacant at the next Annual General Meeting, but shall be eligible for re-election. 20.4 New members of the Committee duly elected at the Annual General Meeting, in accordance with the provisions of these Rules, shall take office immediately upon conclusion of those elections at that meeting. 21.1 All Committee positions shall be filled by election at each Annual General Meeting. (b) shall be delivered to the Secretary of the Association at least fourteen (14) days prior to the commencement of the Annual General Meeting at which the election is to take place. 21.3 If insufficient nominations are received to fill all vacancies on the Committee, the candidates nominated shall be deemed to be elected and further nominations shall be received at the Annual General Meeting. 21.4 If insufficient further nominations are received, any vacant positions remaining on the Committee shall be deemed to be vacancies. 21.5 If the number of nominations received is equal to the number of vacancies to be filled, the persons so nominated shall be taken to be elected. 21.6 If the number of nominations received exceeds the number of vacancies to be filled, a ballot shall be held. 21.7 The ballot for election of Committee Members shall be completed at the Annual General Meeting in such a manner as the Committee may direct. 21.8 A member is not eligible to simultaneously hold more than one (1) position on the Committee for periods in excess of thirty (30) days. Prior to the expiry of such period, the vacant Committee position shall be filled either by election or by co-option of a member as provided for under Rule 22 of these Rules. 21.9 Where a member temporarily holds two Committee positions simultaneously, he or she shall only be entitled to one (1) vote at Committee and General Meetings. 21.10 For the purpose of electing members of the Committee, the Annual General Meeting shall appoint a member of the Association not standing for election, to conduct the elections. 22.1 Should any vacancy on the Committee remain by the end of the Annual General Meeting, the Committee has the power to co-opt any member to the vacant positions, subject to the provisions of Rules 22.4, 22.5, and 22.6. 22.2 Where a casual vacancy occurs on the Committee (eg where a Committee member applies for leave of absence or fails to perform his allotted duties for a period of four (4) weeks without giving notice to the Committee or being granted leave by the Committee), the Committee may co-opt a replacement from the Association membership until such time as the Committee member returns or the next General Meeting at which a replacement shall be elected. 22.3 In addition to the provisions of Rule 22.1, the Committee may, subject to the provisions of Rules 22.4 and 22.5, co-opt up to two (2) additional members of the Association to the Committee. These additional co-opted members shall have all the rights of members of the Committee in its deliberations. 22.4 A member to be co-opted to the Committee shall be sponsored by two (2) members of the Committee and that member must consent to the sponsorship. 22.5 A member proposed to be co-opted to the Committee shall not take up a position on the Committee unless and until that member is appointed to the Committee by resolution at a Committee Meeting. 22.6 Such members as may be co-opted to the Committee shall hold office only until all positions on the Committee are declared vacant at the next Annual General Meeting. 23.1 A member shall not be eligible to stand for or vote for a position on the Committee unless that member is at least eighteen (18) years of age and has been a financial member of the Association for at least thirty (30) days prior to the election. 24.1 The Secretary of the Association shall, as soon as practicable after being appointed as Secretary, notify the Association of his or her address. (c) all proceedings at Committee and General Meetings. 24.3 Minutes of proceedings at a meeting shall be signed by the member presiding at the meeting or by a member presiding at the next succeeding meeting. 24.4 The Secretary shall be responsible for receiving and attending to all correspondence and shall keep a register of all such correspondence. 24.5 The Secretary or other nominated member of the Committee (in accordance with Section 9.4 of these Rules) shall be responsible for oversighting the maintenance of the Register of Financial Members of the Association. 25.2 In addition to preparing the Association’s Annual Statement of Accounts as provided for at the Annual General Meeting, the Treasurer shall, subject to the provisions of Rule 53.3 of these Rules, prepare financial statements of the Association as required. 26.1 Unless the Committee elects another Committee Member to the position of Public Officer, the Secretary shall be the Public Officer having and exercising the duties of Public Officer of the Association. 26.2 The Public Officer shall be a resident of the Australian Capital Territory. 26.3 Subject to these Rules and the provisions of the Act, the Public Officer may hold any other office of the Association. (ii) an offence involving fraud or dishonesty. 27.2 The position of any member of the Committee may, at the discretion of the Committee, be declared vacant if that member is absent without the consent of the Committee Members for three (3) consecutive meetings of the Committee. 28.1 The Association in General Meeting may by resolution, subject to the rules of natural justice (Section 50 of the Act), remove any member of the Committee (including the Public Officer) from the office of Member of the Committee before the expiration of the member’s term of office. 29.1 The Committee shall meet at such places and at such times as the as the Committee may determine but it shall meet at least once every two (2) months during the official Broomball playing season. 29.2 Special meetings of the Committee may be convened by the President or at the request of any three (3) members of the Committee. 29.3 Oral or written notice of a meeting of the Committee shall be given by the Secretary to each member of the Committee at least 48 hours (or such other period as may be unanimously agreed upon by the Members of the Committee) before the time appointed for holding of the meeting. 29.4 Notice of a meeting given under Section 29.3 of these Rules shall specify the general nature of the business to be transacted at the meeting and no business other than that business shall be transacted at the meeting, unless the Committee Members present at the meeting otherwise unanimously agree. 29.5 Any four (4) members of the Committee shall constitute a quorum for the transaction of the business of a meeting of the Committee. 29.6 No business shall be transacted by the Committee unless a quorum is present and if within half and hour after the time appointed for the meeting a quorum is not present, the meeting stands adjourned to a time and place to be agreed upon by at least four (4) members of the Committee. 29.7 If at the adjourned meeting of the Committee, a quorum is not present within half an hour after the time appointed for the meeting, the meeting shall be dissolved. (b) if the President and the Vice-Presidents are absent, one (1) of the remaining members of the Committee may be chosen by the members present to preside. 30.2 Sub-Committees shall report to the Committee at such times and in such manner as the Committee directs. 30.3 The President of the Association shall be an ex-officio member of all Sub-Committees. 30.4 A function, the exercise of which has been delegated to a Sub-Committee under this Section of these Rules may, while the delegation remains unrevoked, be exercised from time to time by the Sub-Committee in accordance with the terms of the delegation. 30.5 A delegation under this Section of these Rules may be made subject to such conditions or limitations as to the exercise of any function, or as to time or circumstances, as may be specified by the Committee and by the provisions of these Rules. 30.6 Notwithstanding any delegation under this Section of these Rules, the Committee may continue to exercise any function delegated. 30.7 Any act or thing done or suffered by a Sub-Committee acting in the exercise of a delegation under this Section of these Rules has the same force and effect as it would have if it had been done or suffered by the Committee. 30.8 The Committee may revoke wholly or in part any delegation under this Section of these Rules. 30.9 A Sub-Committee may meet and adjourn as it thinks proper. 30.10 The Committee may co-opt as members of a Sub-Committee such persons as it thinks suitable, whether or not those persons are members of the Association. 30.11 One half of the members of a Sub-Committee appointed by the Committee shall constitute a quorum for the transaction of business of a Sub-Committee. 31.1 Questions arising at meetings of the Committee or of any Sub-Committee appointed by the Committee shall be determined by a simple majority of the votes by show of hands of members of the Committee or Sub-Committee present at those meetings. 31.2 Each member present at a meeting of the Committee or of any Sub-Committee appointed by the Committee (including the person presiding at the meeting) is entitled to one (1) vote, but, in the event of an equality of votes on any question, the person presiding may exercise a second or casting vote. 31.3 Subject to Sections 29.5 and 30.11 of these Rules, the Committee and Sub-Committees of the Association respectively, may act notwithstanding any vacancy on the Committee or Sub-Committees. 31.4 Any act or thing or suffered, or purporting to have been done or suffered, by the Committee or by a Sub-Committee appointed by the Committee, is valid and effectual notwithstanding any defect that may afterwards be discovered in the appointment or qualification of any member of the Committee or Sub-Committee. 32.1 Pursuant to Section 65(1) of the Act, a member of the Committee who has a direct or indirect pecuniary interest in any contract or arrangement that is current or proposed to be made with the Association shall disclose the nature and extent of his or her interest to the Committee and to the next General Meeting of the Association. 32.2 If the interest already exists, it should be declared at the first Committee meeting at which the contract or arrangement is considered. 32.3 No member of the Committee shall vote as a member of the Committee in respect of any contract or arrangement in which he or she has an interest and if this member does so vote, that vote shall not be counted. 32.4 A resolution by Committee members present may ask for the absence of the member with a declared interest while the contract or arrangement is under discussion. 33.1 With the exception of the first Annual General Meeting of the Association, the Association shall, at least once in each calendar year and within the period of three (3) months after the expiration of each financial year of the Association, convene an Annual General Meeting of its members. (b) within the period of three (3) months after the expiration of the first financial year of the Association. 33.3 Sections 33.1 and 33.2 of these Rules have effect subject to the powers of the Registrar of Incorporated Associations under Section 120 of the Act in relation to the extensions of time. 34.1 The Annual General Meeting of the Association shall, subject to the Act, be convened on such date and at such place and time as the Committee thinks fit. (f) to elect Honorary Life Members if so determine by the Committee as provided for under Section 7.1(b) of these Rules. (g) to transact other business of which due notice has been given in accordance with the provisions of these Rules. 34.3 An Annual General Meeting shall be specified as such in the notice convening it in accordance with Section 36 of these Rules. 34.4 An Annual General Meeting shall be conducted in accordance with the provisions of this Part (ie Part IV) of the Association’s Rules. 35.1 The Committee may, whenever it thinks fit, convene a General Meeting of the Association. 35.2 The Committee shall, on the requisition in writing of not less than eight (8) members of the Association, convene a General Meeting of the Association. (d) may consist of several documents in a similar form, each signed by one (1) or more of the members making the requisition. 35.5 A General Meeting convened by a member or members referred to in Section 35.4 of these Rules shall be convened as nearly as practicable in the same manner as General Meetings are convened by the Committee and any member who thereby incurs expense in convening the meeting is entitled to be reimbursed by the Association for any reasonable expense so incurred. 35.6 At a Special General Meeting of the Association, business shall be confined to the matters for which the meeting has been called. specifying the place, date and time of the meeting and the nature of the business proposed to be transacted at the meeting. 36.2 Subject to the provisions relating to special resolutions, any member of the Association wishing to bring any business before a General Meeting must provide the Secretary with written advice of his or her proposal at least twenty-one (21) days before the meeting unless otherwise specified in these Rules. The Secretary shall include that item of business from the member in the notice to members. 36.3 Where the nature of the business proposed to be dealt with at a General Meeting requires a special resolution of the Association, the Secretary shall, at least twenty-one (21) days before the date fixed for the holding of the General Meeting, cause notice to be sent to each member in the manner provided in Section 36.1 of these Rules specifying, in addition to the matter required under that Section, the intention to propose the resolution as a special resolution. 36.4 No business other than that specified in the notice convening a General Meeting shall be transacted at the meeting except, in the case of an Annual General Meeting, business which may be transacted pursuant to Section 34.2 of these Rules. 37.1 No item of business shall be transacted at a General Meeting unless a quorum of members entitled under these Rules to vote is present during the time the meeting is considering that item. 37.2 A majority of current Committee members and three (3) other ACTBA members, all present in person and being members entitled to vote at a General Meeting as provided for under Section 41 of these Rules, shall constitute aquorum for the transaction of the business of a General Meeting. 37.3 If within half an hour after the appointed time for the commencement of a General Meeting a quorum is not present, the meeting if convened upon the requisition of the members shall be dissolved and in any other case shall stand adjourned to such day (being not less than fourteen (14) days later than the day appointed for the meeting), such time and place as are determined by the Committee. 37.4 If at the adjourned meeting a quorum is not present within half an hour after the time appointed for the commencement of the meeting, the members (being not less than 5) shall constitute a quorum. 38.1 The President, or in the absence of the President, one of the Vice-Presidents, shall preside at each General Meeting of the Association. 38.2 If the President and both of the Vice-Presidents are absent from the General Meeting, the members present shall elect one (1) of their number to preside at the meeting. 38.3 The Chairperson shall maintain order and conduct the meeting in a proper and orderly manner. 39.1 The person presiding at a General Meeting at which a quorum is present may, with the consent of the majority of members present at the meeting, adjourn the meeting from time to time and place to place, but no business shall be transacted at an adjourned meeting other than the business left unfinished at the meeting at which the adjournment took place. 39.2 Where a General Meeting is adjourned for fourteen (14) days or more, the Secretary shall give written or oral notice of the adjourned meeting to each member of the Association stating the place, date and time of the meeting and the nature of the business to be transacted at the meeting. 39.3 Except as provided in Sections 39.1 and 39.2 of these Rules, notice of an adjournment of a General Meeting or of the business to be transacted at an adjourned meeting is not required to be given. 40.1 With the exception of questions requiring a special resolution, a question arising at a General Meeting of the Association shall be determined by a simple majority on a show of hands and unless a poll is demanded, a declaration by the member presiding that a resolution has, on a show of hands, been carried or carried unanimously or carried by a particular majority or lost, or an entry to that effect in the minute book of the Association, is evidence of the fact without proof of the number or proportion of the votes recorded in favour or against that resolution. 40.2 At a General Meeting of the Association, a poll may be demanded by the member presiding or by not less than three (3) members present in person or by proxy at the meeting. (b) in any other case, in such a manner and at such time before the close of the meeting as the member presiding directs, and the resolution of the poll on the matter shall be deemed to be the resolution of the meeting on that matter. 40.4 The result of any poll shall be deemed to be a resolution of a meeting. 41.1 A member is not eligible to vote at a General Meeting of the Association unless that member is at least eighteen (18) years of age and has been a member of the Association for at least thirty (30) days. 41.2 Temporary Members shall have no voting rights. 41.3 A member or proxy is not entitled to vote at any General Meeting of the Association unless all money due and payable by the member or proxy to the Association has been paid, other than the amount of the Annual Membership Fee payable in respect of the then current year. 42.1 Subject to Section 42.3 of these Rules, upon any question arising at a General Meeting of the Association a member has one (1) vote only. 42.2 All votes shall be given personally or by proxy but no member may hold more than five (5) proxies. 42.3 In the case of an equality of votes on a question at a General Meeting, the member presiding is entitled to exercise a second or casting vote. 43.1 A member may appoint another member to attend and vote instead of the member at any meeting. Such appointment must be in writing and signed by the member. and shall be given to the Secretary no later than twenty-four (24) hours before the time of the meeting in which the proxy is appointed. 43.2 The notice appointing the proxy shall be in the form set out in Appendix 2 to these Rules. 44.1 Any person (including Temporary Members and non-members) participating in a Broomball competition organised by the Association who is alleged to have contravened a section of the rules of Broomball or who is alleged to be guilty of misconduct during a game of Broomball, shall be liable to be dealt with by the Association’s Disciplinary Board for Misconduct, etc. 44.2 No action shall be taken against a person unless the allegation is received by the Committee in writing. 45.1 The Vice-President – Technical and no more than two (2) other members of the Committee together with no less than two (2) and no more than three (3) members not concerned with the allegation, shall sit as the Association’s Disciplinary Board when an allegation of a contravention of a section of the rules of Broomball or of misconduct during a game of Broomball is received in writing by the Committee. The-Vice President -Technical shall preside over any meetings of the Disciplinary Board. 45.2 The Disciplinary Board shall have the power to reprimand, fine, suspend, bar from future competitions or expel (in the case of a member), any person deemed guilty of having contravened a section of the rules of Broomball or of misconduct during a game of Broomball. that member shall not sit on the Disciplinary Board. 46.1 Upon receipt of an allegation against a member or person, the Committee shall decide whether or not the member or person has a case to answer. 46.2 Notice, not necessarily in writing, as to whether or not the member or person has a case to answer, together with full information of the allegation(s), shall be given to the member or person. 46.3 In the event that the member or person does have a case to answer, the Vice-President – Technical shall inform that member or person of the time and place at which he or she shall attend to answer the allegations. 46.4 The member or person involved shall inform the Vice-President – Technical whether or not he or she will attend the Association’s Disciplinary Board meeting to answer the allegations. 47.1 Any person found guilty by the Disciplinary Board of having contravened a section of the rules of Broomball or of misconduct during a game of Broomball shall have the right to appeal against that decision. 47.2 The person disciplined shall lodge an appeal in writing with the Secretary of the Association within fourteen (l4) days of a letter conveying the decision of the Disciplinary Board having been sent to that person. 47.3 The Committee shall refer the appeal to the Appeals Committee of the Association. 47.4 The Appeals Committee of the Association shall have the power to decide whether the grounds of appeal are sustained. 47.5 Where the Appeals Committee of the Association decides that the grounds of appeal are not sustained the appeal shall be lost. 47.6 Where the Appeals Committee of the Association decides that the grounds of appeal are sustained, the decision of the Disciplinary Board shall be nullified or cancelled and the Appeals Committee shall refer the case against the member or person to the next General Meeting of the Association. 47.7 Any person dealt with by the Appeals Committee of the Association may refer the matter to a Special General Meeting of the Association for resolution. 48.1 The Appeals Committee of the Association shall comprise no less than three (3) and no more than five (5) persons provided that any person so appointed is not a member of the Association. (c) where possible, the member or person deemed to have contravened a section of the rules of Broomball or to be guilty of misconduct during a game of Broomball, should be present at the Disciplinary Board, Appeals Committee or Special General Meetings, unless that member or person waives this right. 49.2 Four (4) working days notice shall be given to the member or person by the Secretary of the Association of the time, date and place of a hearing, together with copies of all documents relating to the allegations. 49.3 Any properly convened disciplinary hearing can require the production of documents and the appearance of any member or person to give evidence. 49.4 The member or person subject to the hearing shall be informed, in writing, of the decision of that hearing. 50.1 The Committee or a properly constituted General Meeting of the Association may refer any matter, including questions relating to the contravention of a section of the rules of Broomball or to misconduct during a game of Broomball, to the Australian Broomball Federation to be dealt with in accordance with that body’s Constitution or Rules. 50.2 Nothing in this Section shall prevent proceedings relating to the contravention of a section of the rules of Broomball or to misconduct during a game of Broomball from being effective. 50.3 The Association shall be bound by decisions made by the Australian Broomball Federation. 51.1 The funds of the Association shall be derived from Annual Membership Fees of members, donations, grants, and charges to such activities as the Association may organise and, subject to any resolution passed by the Association in General Meeting and to Section 114 of the Act, such other sources as the Committee may determine. 51.2 All money received by the Association shall be deposited as soon as practicable without deduction to the Association’s bank account. 51.3 The Association shall, as soon as practicable after receiving any money, issue an appropriate receipt. 51.4 No portion of the income or property of the Association shall be distributed, paid or transferred directly or indirectly by way of dividend, bonus or otherwise to the members of the Association or to their relatives. 51.5 The Association shall not pay any remuneration by way of salary, fees or allowances or other benefit in money or money’s worth (other than repayment of approved out-of-pocket expenses incurred on the Association’s behalf) to any member of the Committee. (c) a reasonable and proper sum by way of rent for the premises let to the Association by an employee or member. 51.7 Any property of the Association shall be available for use by members and non-members of the Association at the discretion of the Committee. The Committee may determine such fees for the hire of equipment as it considers appropriate from time to time. 51.8 Members and non-members of the Association shall be personally liable for loss of or damage to any equipment which they may borrow or hire from the Association. 52.1 Subject to these Rules and any resolution passed by the Association in General Meeting, the income and property of the Association, however derived, shall be used and applied solely to the promotion of the purposes and objectives of the Association in such a manner as the Committee determines. 52.2 All cheques, drafts, bills of exchange, promissory notes and other negotiable instruments shall be signed by any two (2) of four (4) signatories who are members of the Committee of the Association, being members of the Committee authorised to do so by the Committee, provided that none of the signatories are members of the same family. (b) the assets and liabilities of the Association. (b) the convenient and proper auditing of the Association’s accounts. 53.3 The Treasurer shall provide reports to the Committee or Association members at each Monthly General Meeting or at no less than two (2) monthly intervals. 54.1 The Treasurer shall, on behalf of the Association, be responsible for all moneys received by the Association and the issue of official receipts. 54.2 The Committee shall authorise the opening of accounts in the name of the Association with such financial institutions as it deems appropriate. 54.3 All moneys received by the Association shall be paid by the Treasurer, or a delegate, into the appropriate Association accounts as soon as possible after receipt thereof. 54.4 Any expenditure incurred on behalf of the Association must have prior approval by a majority of the Committee before reimbursement can be claimed through the Treasurer. Liability for unapproved transactions will rest with the individuals who made the transaction and not the Association. 54.5 No payment shall be made from an Association’s accounts otherwise than by cheque drawn on that account, except with the approval of the Committee. 54.6 Subject to such provisions as the Committee may deem appropriate, the Treasurer and Secretary may be provided with sums of money to meet day-today expenditures. 54.7 No cheque shall be drawn on the Association’s account s except for the payment of expenditure that has been authorised by the Committee. 55.1 Neither the Purposes and the Objectives of the Association referred to in Sections 3 and 4 respectively of these Rules and in Section 29 of the Act nor these Rules shall be altered or rescinded except by Special Resolution in accordance with Sections 30 and 33 respectively of the Act. 56.1 The Committee shall provide for a Common Seal which shall be kept in safe custody by the Secretary of the Association. 56.2 The Common Seal shall not be affixed to any instrument except by the authority of the Committee and the affixing of the Common Seal shall be attested by the signatures of any two (2) members of the Committee authorised to do so. 56.3 The Secretary shall maintain a register of the occasions on which the Common Seal is used, and shall present the register to members at the Annual General Meeting. 57.1 Subject to the provisions of the Act, the Regulations and these Rules, the Secretary shall keep in his or her control all records and other documents relating to the Association except the Association’s financial accounts and accounting records which shall be kept by the Treasurer. 57.2 Subject to the provisions of the Act and its Regulations, no books or records of the Association shall be destroyed without the express approval of the Committee. 57.3 The accounting records shall be kept at such place or places as the Committee shall from time to time determine. 58.1 Subject to any reasonable restrictions as to time and manner of inspection that may, for the time being, be imposed by the Association, the records, books and other documents of the Association shall be open to inspection at Association meetings or at a place in the Territory, free of charge, by any member of the Association. 59.1 Each Annual General Meeting of the Association shall by resolution appoint an auditor who is registered as an auditor pursuant to the Corporations Law and who is not a member or employee of the Association, a partner, employer or employee of an officer of the Association or a partner or employee of an employee of an officer of the Association. 59.2 A person so appointed shall hold office until the next Annual General Meeting following that appointment when he/she may be re-appointed. 59.3 If an appointment is not made at an Annual General Meeting, the Committee shall appoint an auditor of the Association for the period up to the next Annual General Meeting. 59.4 If a casual vacancy occurs in the office of auditor, the Committee shall fill the vacancy until the next succeeding Annual General Meeting. (e) is removed by a resolution of the Committee. 59.6 If the office of the auditor becomes vacant, the Committee shall notify the membership within twenty-eight (28) days of the vacancy occurring. The Committee shall also notify the membership of any successful appointment to the position of Auditor within twenty-eight (28) days of that appointment. 60.1 The Treasurer of the Association shall cause to be delivered to the Auditor the accounts, books, accounting records, records, vouchers, computer files and documents of the Association as soon as possible after the end of the financial year. 60.2 The Auditor shall certify as to the correctness of the accounts and balance sheet of the Association and shall make a report thereon available at the Annual General Meeting. (c) the rules relating to the administration of the funds of the Association have been observed. (d) may, in relation to the accounts of the Association, examine any member of the Committee or any employee of the Association . 61.1 For the purpose of these Rules, a notice may be served by or on behalf of the Association upon any member at the member’s address shown in the Register of Members. 61.2 Where a document is sent to a person by properly addressing, prepaying and posting to the person a letter containing the document, the document shall, unless the contrary is proved, be deemed for the purposes of these Rules to have been served on the person at the time at which the letter would have been delivered in the ordinary course of post. 62.1 Pursuant to Section 88 of the Act, the voluntary winding up of the Association shall be decided upon only by aspecial resolution passed at a General Meeting of the Association convened for this purpose. (b) to a fund, authority or institution as provided for under Section 92(1)(b) of the Act. the above named incorporated association. In the event of my admission as a member, I agree to be bound by the rules of the association for the time being in force. a member of the association, nominate the applicant, for membership of the association. a member of the association, second the nomination of the applicant, for membership of the association. ……………………………………………….. day of ………………………………………………… 19………….., and at any adjournment of that meeting. 31. (2) Where the model rules make provision in relation to any matter not provided for in the rules of an incorporated association, the rules of the association shall be taken to include the provision of the model rules in relation to that matter. 57. (1) An incorporated association shall have a public officer. (2) A person is not eligible to be the public officer of an incorporated association unless the person resides in the Territory and is at least 18 years of age. (3) The public officer of an incorporated association may, unless the rules of the association otherwise provide, hold any office of the association in addition to the office of public officer. (c) the office of public officer was, at the time of the act, to be taken to be vacant pursuant to subsection 64(2)(See below). 59. (1) A person who is appointed to be the public officer (other than the inaugural public officer) of an incorporated association shall, not later than 1 month after being appointed, lodge with the Registrar a notice of the appointment in the approved form. (2) If the public officer of an incorporated association changes his or her address, the public officer shall, within one month after the change, lodge with the Registrar a notice in the approved form. 64. (1) An incorporated association may, by resolution, remove its public officer from office. (g) ceases to reside in the Territory. (3) Where a vacancy occurs in the office of public officer of an incorporated association, the committee of the association shall, within 14 days after the vacancy occurred appoint a person to fill the vacancy. (4) If the committee without reasonable cause does not comply with subsection (3), each member of the committee is guilty of an offence punishable, on conviction, by a fine not exceeding $200. (b) it is passed by at least three-quarters of those members of the association who, being entitled to vote, vote in person or, where the rules of the association permit voting by proxy, vote by proxy at the meeting. Section 21 of the Act – Constitution of incorporated associations. 21. (1) An incorporated association shall, subject to this Act and the rules of the association, be taken to be constituted, under the name specified in the certificate of incorporation issued in respect of the association, by the persons who are its members from time to time. (b) in the case of an association incorporated pursuant to section 27 – the members of the associations that amalgamated pursuant to that section; shall be taken to have been members of the association at the time the association was incorporated. An officer or member of an incorporated association shall not, except as otherwise provided by this Act or the rules of the association, be taken, only because of being a member or officer, to be liable to contribute to the payment of any debts or other liabilities incurred by the association, or to the costs or expenses incurred in the course of winding up the association. 108. (1) A member of the committee of an incorporated association who knowingly fails to take all reasonable steps to ensure that the association has complied or is complying with this Act or with a condition imposed on the association pursuant to this Act is guilty of an offence punishable, on conviction, by a fine not exceeding $500. 108. (2) An officer of an incorporated association, or an incorporated association, who or that contravenes a condition imposed on the association pursuant to this Act by the Registrar or the Minister is guilty of an offence punishable, on conviction, by a fine not exceeding $1,000. 108. (3) Proceedings for an offence under this section may be instituted against an officer of an incorporated association, and the officer may be convicted of the offence, whether or not proceedings in relation to the offence have been instituted against the association or the association has been convicted of a offence related to the first-mentioned offence. 108. (4) Nothing in this section shall be taken to affect the liability of an incorporated association in respect of an offence committed by the association against this Act. 109. (1) An incorporated association shall not, as trustee or otherwise, trade or secure pecuniary gain for its members. (2) Subsection (1) does not apply to an association incorporated pursuant to a declaration under subsection 15.(1). Where, pursuant to subsection 108(1) (See above), a member or members of the committee of an incorporated association is or are guilty of an offence in respect of a failure of the association to comply with section 109(See above), the member or members is or are respectively liable, or jointly and severally liable, for any debt or liability incurred by the association because of the commission of the offence. Section 50 of the Act – Rules of natural justice. Where an incorporated association exercises any power that it has to adjudicate upon a dispute between its members, or between itself and a member or members, in relation to the rights conferred upon the members by the rules of the association, any decision made by the association shall not be taken to be valid unless, in any proceedings in relation to the dispute, the rules of natural justice have been complied with. shall not, within the period of 5 years after the person was convicted or released from imprisonment in respect of the offence, whichever is later, without leave of the Supreme Court, accept an appointment or act as the public officer or member of the committee of an incorporated association. Penalty: $5,000 or imprisonment for 6 months, or both. (b) disclose the nature and extent of the interest at the next general meeting of the association. (2) A member of the committee of an incorporated association who has an interest in a contract or proposed contract referred to in subsection (1) shall not take part in making any decision with respect to the contract or proposed contract, but may, subject to this section and section 66, participate in any deliberations of the committee with respect to the contract or proposed contract. Section 120 of the Act – Extensions of time for applications, etc. 120. (1) The Registrar may, on written application of an incorporated association, an officer of an incorporated association or a person authorised for the purposes of this section by an association or a group of persons proposing to form an association, extend a period of time prescribed by this Act or regulations, whether or not the application is made before the period has expired. (2) The Registrar may make the extension of a period pursuant to subsection (1) subject to any conditions the Registrar thinks fit and may, by written notice to the association, vary or revoke the extension. (iii) the net profit or loss of the association for the most recently ended financial year. (2) The committee of an association prescribed for the purposes of section 76 shall ensure that the prescribed number of copies of the documents referred to in paragraphs (1)(a) and (b) are available for perusal by members of the association immediately before and during the annual general meeting. 114. (1) An incorporated association shall not, without written approval of the Registrar, invite a person other than a member or applicant for membership of the association to invest money with the association nor receive money from such a person for investment with the association. (b) the money, any interest on the money paid or payable to the association, and any profit derived from use of the money by the association, is recoverable by the person from the association as a debt due to the person. (3) An incorporated association may, subject to the rules, invite a member or applicant for membership of the association to deposit money with or lend money to the association, and may receive money from a member or applicant for membership. (4) The Registrar may grant an incorporated association approval to invite a person referred to in subsection (1) to invest money with the association and approval to receive money from such a person for investment, and may make the grant subject to such conditions as the Registrar thinks fit. (5) An association that does not comply with the conditions specified in a grant of approval given to the association pursuant to subsection (4) is guilty of an offence punishable, on conviction, by a fine not exceeding $5,000. 18 (1)(b)(i) or 26 (2)(b)(i)7, as the case requires, being those objects as altered from time to time in accordance with section 30 (See below). 30. (1) An incorporated association may, by special resolution , alter its objects. (2) An incorporated association shall, not later than 1 month after a special resolution to alter the objects of the association has been passed by the association, lodge with the Registrar a notice in the approved form setting out the particulars of the alteration. (3) A resolution to alter the objects of an incorporated is of no effect until the notice has been lodged. (b) adopt as its rules other rules that comply with section 32 instead of the model rules adopted pursuant to subparagraph 16 (c)(i), paragraph 26 (1)(b)9 or paragraph (a). (2) Where an incorporated association has resolved to alter its rules, the association shall, not later than 1 month after the resolution was passed, lodge with the Registrar a notice in the approved form setting out the particulars of the alteration, and including a declaration by at least 2 members of the committee of the association to the effect that a special resolution referred to in subsection (1) was duly passed by the association. (3) Where a notice relating to the alteration of the rules of an association has been lodged pursuant to subsection (2), the Registrar may give notice to the association that it is required to lodge a copy of its rules with the Registrar. (4) When an incorporated association has been given notice by the Registrar pursuant to subsection (3), the association shall, not later than 1 month after the date of the notice, lodge with the Registrar a printed copy, in consolidated form of the association’s rules as altered and in force at that date. (5) A resolution to alter the rules of an incorporated association is of no effect until a notice been lodged by the association pursuant to subsection (2). An incorporated association may be wound up voluntarily if the association has, by special resolution, resolved that it be wound up. (c) where no association, fund, authority or institution has been nominated in accordance with paragraph (a) or (b), as the case requires – vest in the Registrar. (ii) is not carried on for the object of trading or securing pecuniary gain for its members. (3) Where, for the purpose of subsection (1), a former association has nominated another association or a fund, authority or institution, as the case requires, by special resolution, the former association shall lodge with the Registrar a notice in writing, signed by at least 2 members of the committee of the former association, certifying that the special resolution was duly passed. (4) A person aggrieved by the operation of subsection (1) in relation to the surplus property of the former association may apply to the Supreme Court for an order in respect of the property. (5) Where, in accordance with subsection (1), land or an interest in land (being land in the Territory) vested in an incorporated association is taken to vest in another association, in a fund, authority or institution or in the Registrar, as the case requires, the Registrar of Titles, on the production of a statement by the Registrar certifying to the effect that the incorporated association has been wound up and that the land or interest is vested, in accordance with subsection (1), in another association, in a fund, authority or institution or in the Registrar, as the case requires, shall endorse the relevant certificate of title in the Register Book kept pursuant to the Real Property Act 1925 to that effect. “surplus property” means any property or interest in property of a former association that remains after the satisfaction of any debts or liabilities of the former association and any costs, charges or expenses incurred in the winding up of the former association. Section 19 of the Act relates to “Certificate of incorporation”. Section 27 of the Act relates to “Incorporation of amalgamating associations”. Section 15. (1) of the Act relates to Ministerial decisions permitting associations which are normally ineligible for incorporation to incorporate. Section 66 of the Act relates to “Information from officers” sought by the Registrar. Not of any real direct significance to the Association’s Rules. Section 76 of the Act relates to the “Auditor of prescribed associations” and covers the appointment of an auditor of an incorporated association, persons who may and may not be the auditor of an incorporated association and the functions, duties and rights of an auditor of an incorporated association. 6 Regulation 11 of The Associations Incorporation Regulations specifies that for the purposes of subsection 73(2) of the Act, the prescribed number of copies of documents is 100. Subparagraphs 18(1)(b)(i) and 26(2)(b)(i) of the Act relate to the application for incorporation of an association or proposed association having to be accompanied by a copy of a statement of the objects of the association or proposed association. Subparagraph 16(c)(ii) relates to the decision by an association proposing to incorporate adopting rules other than the model rules. Paragraph 26(1)(b) relates to two or more incorporated associations proposing to amalgamate lodging a joint application for incorporation as a single association if the model rules or other rules complying with the Act have been adopted as the rules for the new association. Section 32 relates to rules other than the model rules and indicates the circumstances under which these rules comply with the provisions of the Act. Subparagraph 16(c)(i) relates to the decision by an association proposing to incorporate adopting the model rules.